“How much did you earn in your last job?” That question– often posed by prospective employers during the hiring process–is now illegal in New York City. b) relying on the salary history of a job applicant in determining the salary, benefits or other compensation during the hiring process, under an amendment to New York City’s Human Rights Law. This prohibition includes inquiries in advertisements/postings, interviews, and/or applications, and searching public records to find out about an applicant’s current or prior salary or benefits history. The law applies to most applicants for positions for full-time or part-time employment, internships, and to independent contractors without their own employees. Headhunters who qualify as employers, employment agencies, or agents of an employer, or who aid and abet a violation of the NYC Human Rights Law, may also be liable under the law. Proponents of the law argued that employers’ reliance on salary history has perpetuated the gender pay gap where women continue to be paid less than their male counterparts for doing the same job. The law was enacted to “disrupt the cycle of wage inequality for women and people of color” and “encourage employers to set compensation based on qualifications,” rather than salary history. The law does not apply to applicants for internal transfer or promotion with their current employer or applicants for public sector jobs where salary is governed by a collective bargaining agreement. verify and consider current or prior earnings or benefits only if offered voluntarily and without prompting by the applicant during the interview process. The NYCCHR FAQ on the salary history ban recommends, with respect to headhunters that: “To protect against liability, headhunters should obtain written confirmation from job candidates that they consent to the disclosure of their salary history.” This recommendation seems problematic, however, as an “end run” around the prohibition against inquiring about salary history, and employers should be careful of such an approach that may be challenged in court as violative of the law’s intent. Independent contractors without their own employees also are protected by this salary history ban. Intentionally “aiding and abetting” a violation of the law is also a separate violation so former employers offering salary information about a former employee to an inquiring prospective employer, “headhunters” and recruiting agencies also need to be wary. The NYCCHR FAQ asserts that, “if an unlawful discriminatory practice, including an inquiry about salary history, occurs during an in-person conversation in New York City, there will likely be jurisdiction because the impact of the unlawful discriminatory practice is felt in New York City. If an unlawful discriminatory practice occurs outside of New York City, there could be jurisdiction if the impact of the unlawful discriminatory practice is felt in New York City.” The FAQ states that NYC residency alone is not enough to establish discriminatory impact. 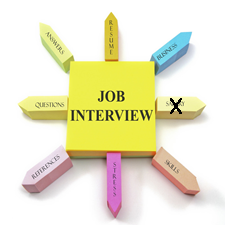 What if the interview is conducted by Skype, telephone, or some manner other than in-person? Must the employer, applicant or both be physically situated in NYC at the time of the “virtual” interview for there to be jurisdiction? Is it possible that a court would find that an applicant residing in NYC but working outside NYC would be protected under this NYCHRL amendment if the unlawful salary inquiry were made in NYC? The NYC salary history ban follows similar bans in other jurisdictions like Massachusetts, Philadelphia, Pennsylvania, New Orleans, Louisiana, Puerto Rico, and mostly recently, California. The New York City Commission on Human Rights is charged with enforcing the law, and can impose civil penalties ranging from $125,000 to $250,000, and mandatory training and posting for violators. Complainants may sue in court alleging a violation of New York City’s Human Rights Law, where they may get damages, attorneys’ fees, and costs. finally, remember to comply with recent NYC laws prohibiting credit history inquiries and pre-offer criminal background check inquiries, as applicable. Employers can learn more about this new law at New York City’s Salary History Ban FAQs: http://www1.nyc.gov/site/cchr/media/salary-history-frequently-asked-questions.page. For assistance with training hiring managers on the new law, employment law audits of your employment practices and policies, and legal review of your documentation and hiring practices, please contact Lisa Brauner, Head of Perlman & Perlman LLP’s Employment Law practice, at 212-889-0575, lisa@nullperlmanandperlman.com. The Philadelphia ban is currently being challenged in court.